Gender - Description | W. W. Norton & Company Ltd. 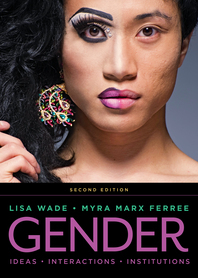 The new gold standard for sociology of gender courses. An instant best-seller and now the leading book for the course, Wade and Ferree’s Gender is a sophisticated yet accessible introduction to sociological perspectives on gender. Drawing on memorable examples mined from history, pop culture and current events, Gender deftly moves between theoretical concepts and applications to everyday life. New discussions of #metoo, toxic masculinity and gender politics in the Trump era help students participate in today’s conversation about gender.